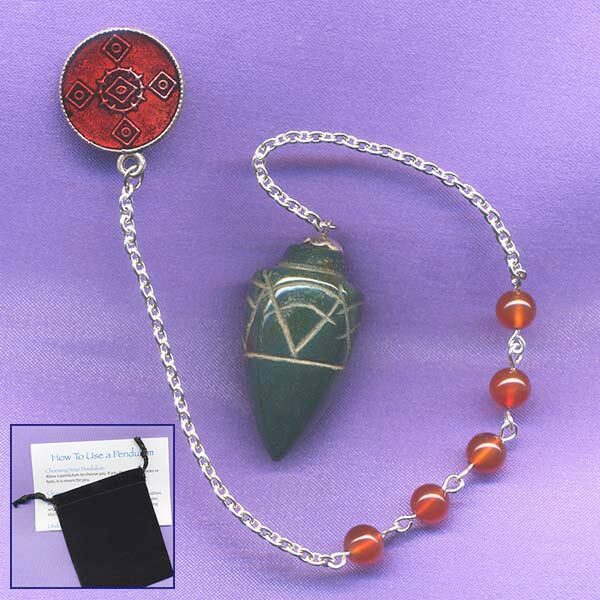 Bloodstone Healing Gemstone Pendulums in a bullet shape with primitive carvings. 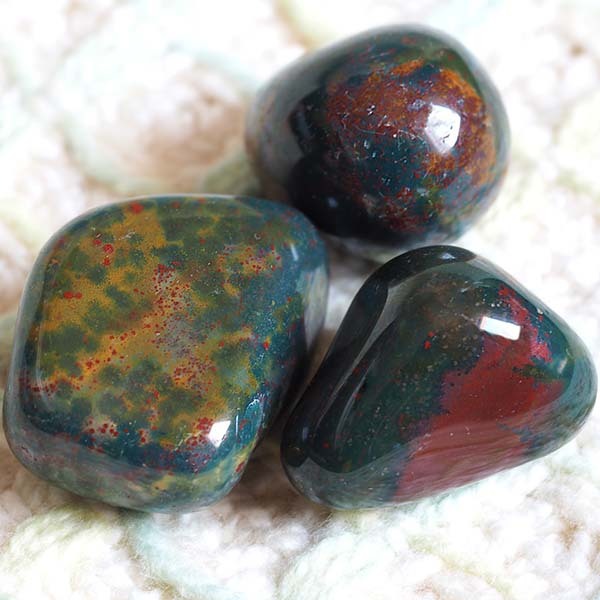 Bloodstone helps to protect ourselves by limiting and sending away unwanted influences. It is also very grounding. Size: 5/8" in diameter, 1-1/2" tall with approx. 8" silvertone chain. Overall length is 8-5/8". Pendulums were hand cut, shaped and carved in India.